Jupiter opposite Neptune in the natal chart gives and incredibly curious intellect. You question the reality or truth of things which most others take for granted. The facts of a matter or some societal standards do not constrain your thoughts or behaviors in the normal way. This minority view of the world has repercussions in every area of life, from your physical health, to your career and relationships. It is not so much a lack of faith as your questioning of faith that is important, because you can in fact have extreme and strong beliefs. It is the tension created by swinging between fact and fiction which can cause problems. When growing up there may be some physical or psychological abnormality which limits socializing with friends. A sense of isolation or being so different from others may bring on addictions or obsessions, or else exacerbate some existing peculiarity. Curiosity and a strange urge to find the truth often leads to a life of study, travel and changing philosophies. Many brilliant academics, writers, poets, philosophers and artists have this aspect strong in the charts. One thing all these people have in common is great creativity. In the struggle between fact and fiction, faith and hopelessness, you experience many highs and lows. Disappointment is something you will have to contend with as other people may not meet your expectation, or intentionally try to take advantage of you. The greater the self-confidence you can muster, the lower the risk of such disappointment in your relationships. Finding the right balance between blind faith and continual questioning may result in experimentation and extremes, but at some stage the middle ground can be found. Although not so stimulating as the journey itself, the destination does offer the stability and peace of mind you seek, if not need. T. S. Eliot 0°06′, Algernon Swinburne 0°13′, Jean Henri Fabre 0°14′, Boris Johnson 0°19′, C. D. Broad 0°20′, Harvey Weinstein 0°24′, Queen Elizabeth II 0°28′, Liz Renay 0°38′, Nevin Markwart 0°56′, Brett Whiteley 1°12′, Robert the Bruce 1°17′, David Frost 1°17, Harriette Wilson 1°20′, Hugh Hefner 1°28′, John Derek 1°43′, Robson Green 1°58′. Transiting Jupiter opposite Neptune sparks curiosity and experimentation to alleviate spiritual growing pains. In your spiritual journey to understand the truth, tension may rise as result of going to extremes in behavior and belief. There is an increased risk of negative consequences such as disappointment and loss due to over optimism, addiction or gambling, especially if there is a natal tendency toward these things. There will be an increased tendency to over idealize other people, leaving you susceptible to disappointment in relationships or in danger of being taken advantage of. This is not the best time for investing as speculation of any kind could lead to heavy losses. Blind faith at this time means you are more likely to overlook important details which would otherwise make you wary. Your personal, professional and spiritual growth is being challenged at the moment. It is OK to keep an open mind if any offers or promises are made. Make use of your curiosity to learn all you can through study and travel but remember to take a common sense approach if things seem too good to be true. The discoveries you make now can lead to changes in your beliefs. This could range from changing your religion or spiritual outlook, to once strongly held opinions, prejudices or sexual orientation. I got married during this aspect on September 20th. Our original wedding time (carefully planned!) 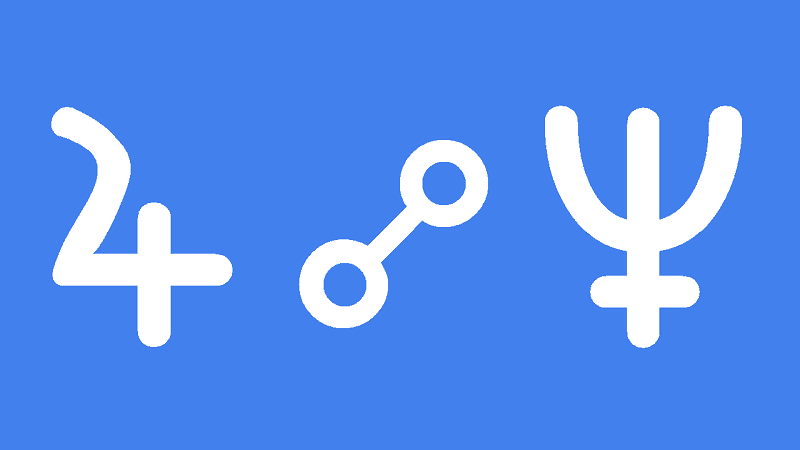 was delayed and so we wound up getting married with the aspect almost exactly on the ascendant and descendant of our wedding chart– Jupiter is at 8*46 Virgo and our descendant is 8*40 Virgo and Neptune within a degree of the ascendant. I don’t believe it was an accident that our wedding was delayed outside of my control to that point, and I am really curious to see how this energy plays out in our marriage. I would have to agree Caitlin, rarely are things an accident especially with such a major event. This could work out rather well with a spiritual relationship and Jupiter representing happy and prosperous partnerships with others. Best of luck! My birthday is 3/3/79 and my partner is 1/25/72. I think this is already impacting us– but what can I expect to happen? I don’t do relationship astrology Julie. This aspect peaked in September 2015 and is getting stronger again because of Jupiter retrograde. But it won’t come exact again until the next cycle. It does affect you because your Sun is 13 Pisces. But more important than Jupiter opposite Neptune is Saturn square Neptune for you but each transit is spaced out not to be too intense at least. Neptune conjunct Sun transit Apr 2017 to Feb 2018. So nice to hear from you Margaret. You have nothing at all to worry about this year. But I can understand why you do worry with Sun conjunct Mercury retrograde conjunct Neptune in your birth chart. And that worry is made more acute because of Sun-Mercury-Neptune square Mars which would even give panic attacks I would think. But you also have Sun-Mercury-Neptune trine Jupiter which brings truth, faith and optimism. This is the most important alignment in your chart and it is being triggered big time in 2018 in a very good way so I think you are feeling the intensity of the major transformation in your life and your thought processes so that you eliminate fear from your life. Thank you so much Margaret. I don’t see that you have this exact transit. I think the fear is coming from an aspect in your natal chart which is Mercury conjunct Neptune. It is being positively affected by transiting PLuto which might seem a bit scary tio start because it is so deep and intense but it will be very very good. Very interesting. I have Jupiter in Taurus in the 10th opposite Neptune in Scorpio in the 3rd, natally; yes, blind faith vs questioning; yes, creative writer; yes, minority view; yes, vitally intrinsic aspect of my psyche… Thank you for your brief snapshot of this energy, very helpful… I am finding that I have begun to come face to face with my need to balance this energy in my life as I have been thrown from my normal state of isolation to extreme contact with others in busy, public, social/work settings! Born in auget 1951 I have natal jupiter fifth house, opposition neptune eleventh house, and am finally encouraged to creatively express my vision.